In the same pan heat 1 tsp of oil and fry the onions and green chillies first. Looks delicious and healthy. Please do send it to my "Healthy Me & Healthy Us" event (read the rules). 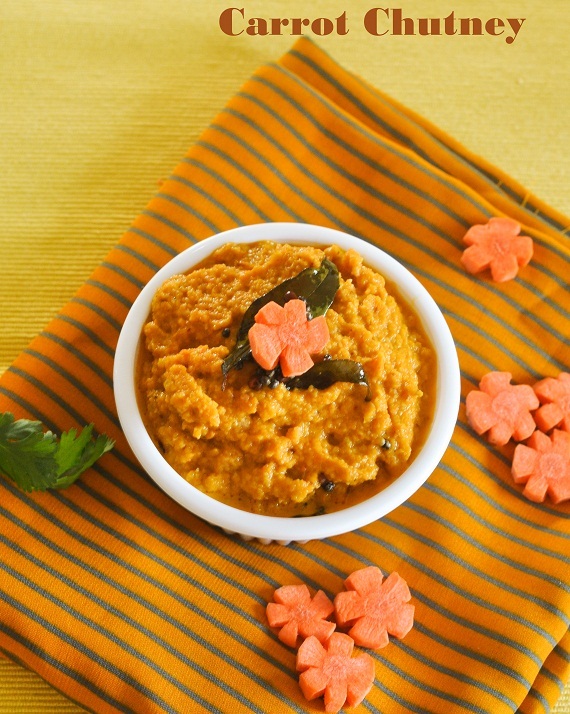 Carrot chutney must taste good. Will try this some time soon.